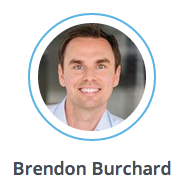 Shane Michaels releases a review of The Achievement Accelerator by legendary author and high performance trainer Brendon Burchard. This new program is designed to help anyone achieve greater success, wealth and accomplishment in life. Anyone who hasn't read Brendon's books or gone through his trainings needs to start immediately. The knowledge and expertise that he has is great, but his ability to get people to take action is masterful. Achievement Accelerator has been released by Brandon Burchard, one of the most followed personal development trainers of our time, and one of the top 100 most followed public figures on Facebook. This new training program was created to help anyone create the lifestyle they dream of and to become the person they are capable of being. Brendon believes every person has untapped potential, potential that allows one to have more, become more, serve more, do more and achieve more. He also believes that achievement is a skill that can be learned. According to Burchard, there are many reasons why some people achieve more than others and have a whole different level of advancement while others continue to struggle and get beat up by the world. Through all his research, training, and study of phycology, he believes that those who achieve higher have a different level of knowledge and practice in certain areas that allows them to excel to a whole new level. The Achievement Accelerator is designed to specifically pinpoint those things that allow greater growth and greater achievement at a rapid pace. The program includes 5 weeks of online training, a personal assessment, ongoing training for 12 months, and a private community with Brendon and other students. Week 1 - This is learning the 10 steps for achieving anything 10x faster. Week 2 - The Quicking - This includes understanding and defining one’s purpose, the opportunity evaluator, the achievement planner which is charting and a count down to success. Week 3 - The Self Amplifier - This is reprogramming one’s mind to get into a better lifestyle, to be fine tuned and consistent with one’s body and energy. It’s also destroying fear and understanding how to manage one’s mind at new levels. Week 4 - The Synergizer - This includes the social intelligence booster, the persuasion booster, influence model and leadership blueprint which will help people in all aspects of communication and social behaviors. Week 5 - The SuperCharger - This includes destroying doubt and distraction, how to learn faster and understanding the 10 skills for lifelong momentum. Watch this video to learn everything there is to know about Brendon's training. According to Larry King, “Brendon Burchard is one of the top motivation and marketing trainers in the world.” This program is 18 years of his research, discipline and study all focused on showing and teaching people how to achieve more. Those looking to achieve more success, more wealth and more accomplishment in life should take a look at Brendon Burchards Achievement Accelerator by going here.